A local church body has joined the effort to rehabilitate coffee farms in the hills of St Andrew that were ravaged by bush fires in May. Last Friday, the Church of God of Prophecy, through Bishop Rudolph Daley, donated $110,000 to the Jamaica Agricultural Society (JAS) toward the rebuilding process. The church also donated coffee seedlings and fertilisers to the effort. “Most of our brethren plant coffee and other things, so we thought it necessary to pool some funds… to help build back our industry,” Daley said during the presentation at the JAS Church Street head office in downtown Kingston. 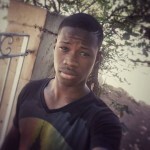 “So many times we hear that the church is not doing anything and the church is silent. We are glad that the media is here to let them know that we are doing something. And so, we in Kingston and St Andrew are going to let Jamaica know that we are a holistic organisation,” the clergyman said. The fires that ravaged vast swaths of coffee farms across Mavis Bank are said to have cost millions of dollars in losses to farmers and the industry, which produce the world-renowned Blue Mountain Coffee. On Friday, Norman Grant, the JAS president and CEO of Mavis Bank Coffee Factory, expressed appreciation for the donation and said the company would be providing $500,000 worth of seedlings and chemicals to farmers. In Jamaica, the ackee fruit is a mixed blessing. Though originally native to West Africa, it migrated to Jamaica in 1778 and is now the country’s national fruit. The ackee’s scientific name is Blighia sapida, and it is a member of the sapindaceae plant family. This scientific name honours Captain William Bligh, a famous English sailor who took the fruit from Jamaica to the Royal Botanic Gardens in Kew, England in 1793, where it was introduced to science. Ackee trees are found across the island of Jamaica but the main producing areas are located in Clarendon and St Elizabeth. There are two bearing seasons: between January to March and June to August. 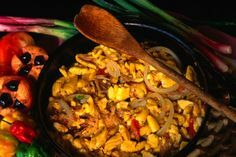 The use of ackee in food is especially prominent in Jamaican cuisine, Ackee is the national fruit of Jamaica, and ackee and saltfish is the national dish. Ackee pods should be allowed to ripen on the tree before picking. Prior to cooking, the ackee arils should be cleaned and washed. The arils then boiled for approximately 5 minutes and the water discarded. 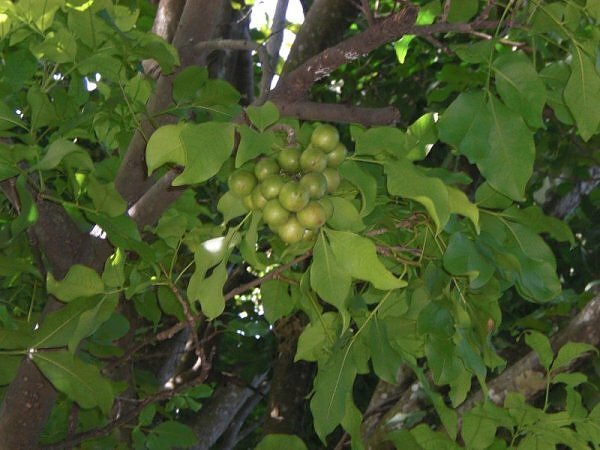 The dried seeds, fruit, bark, and leaves of akcee trees can be used medicinally. The fruit when its not ripen contain the toxins hypoglycin A and hypoglycin B. Hypoglycin A is found in both the seeds and the arils, while hypoglycin B is found only in the seeds. Hypoglycin is converted in the body to methylenecyclopropyl acetic acid(MCPA). Hypoglycin and MCPA are both toxic. The fruit causes severe vomiting that can lead to convulsions, coma or death, but this only occurs if the fruit is immature/unripened when consumed. Guinep is a fun fruit to eat. It’s great for eating out-of-hand and it’s also used to make juice, jam, and jelly. Just crack the thin skin with your teeth and pop the juicy seed in your mouth. The Jamaican guinep has several great benefits, with only 58 calories in a healthy serving, the guinep contains protein, fat, carbohydrates, fiber, ash, calcium, thiamine phosphorus, iron, carotene, riboflavin, ascorbic and amino acids. Tip: Be careful of the guinep juice because it will stain your clothes. Eat only ripe guineps, otherwise they may be toxic. Guineps should only be given to children with caution/supervision because of the possibility of choking on the large seeds. Jackfruit trees typically reach a height of 8 to 25 m and a canopy diameter of 3.5 to 6.7 m at 5 years of age. They grow well in equatorial to subtropical maritime climates at elevations of 1 to 1600 m with average rainfall of 100 to 240 cm. Growth is moderately rapid in early years, up to 1.5 m in height per year, but slows to around 0.5 m per year as trees reach maturity. Typical fruit yield is around 70 to 100 kg per tree per year. Jackfruit flowers are open-pollinated, resulting in highly variable seedlings. However, commercial growers normally plant grafted cultivars. The fruits of most cultivars weigh 10 to 30 kg, although the range for known cultivars extends from 2 to 36 kg. (Elevitch and Manner 2006) Elevitch and Manner (2006) provide details on propagation, cultivation, and harvesting, as well as traditional uses. Jackfruit is an important tree in home gardens in India, the Philippines, Thailand, Sri Lanka, and other regions where Jackfruit is grown commercially and is perhaps the most widespread and economically important Artocarpus species, both providing fruit and functioning as a visual screen and ornamental.